Love thy neighbour? The Westboro Baptist Church has a new neighbour and he has painted his house in all the colours of the rainbow. Planting Peace, a progressive nonprofit organization founded by Aaron Jackson and John Dieubon in 2004 for the purpose of spreading peace in a hurting world, has launched a new project, "The Equality House". On their website they posted: "For too long, the Westboro Baptist Church has been targeting the LGBTQ community with messages of hate and discrimination. Often, protesting American soldiers’ funerals and organizations that support equality. This faction preaches extremism in our communities and directly targets our youth. To combat their messages of hate and to support equality and anti-bullying initiatives in schools and in our community, Planting Peace has established the Equality House in Topeka, KS. 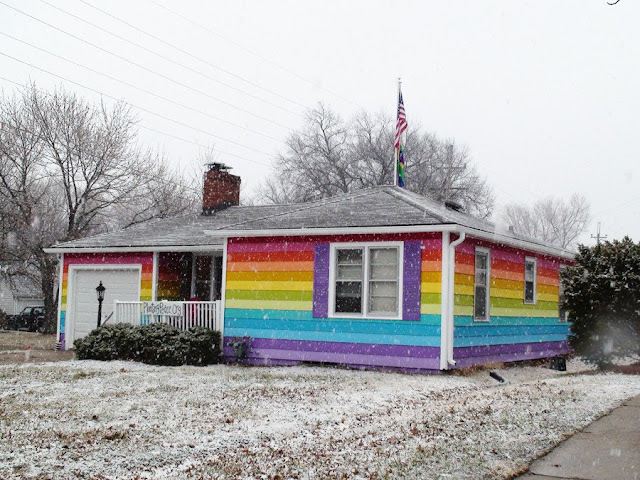 Located directly across from the Westboro Baptist Church, the House is a symbol of equality, peace, and positive change. 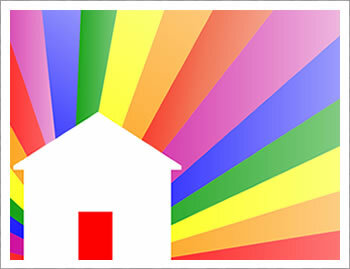 The house, which is painted the colors of the Pride flag, will serve as the resource center for all Planting Peace equality and anti-bullying initiatives and will stand as a visual reminder of our commitment, as global citizens, to equality for all. For too long, the Westboro Baptist Church has been targeting the LGBTQ community with messages of hate and discrimination. Often, protesting American soldiers’ funerals and organizations that support equality. This faction preaches extremism in our communities and directly targets our youth. 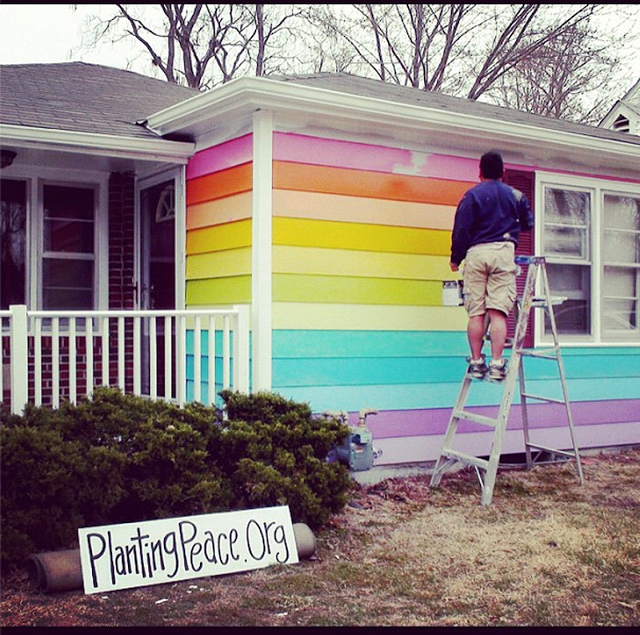 To combat their messages of hate and to support equality and anti-bullying initiatives in schools and in our community, Planting Peace has established the Equality House in Topeka, KS.